The Scott Elsa Sprint is an emergency life support positive- pressure escape breathing system that is self-contained, open circuit and runs from compressed air. 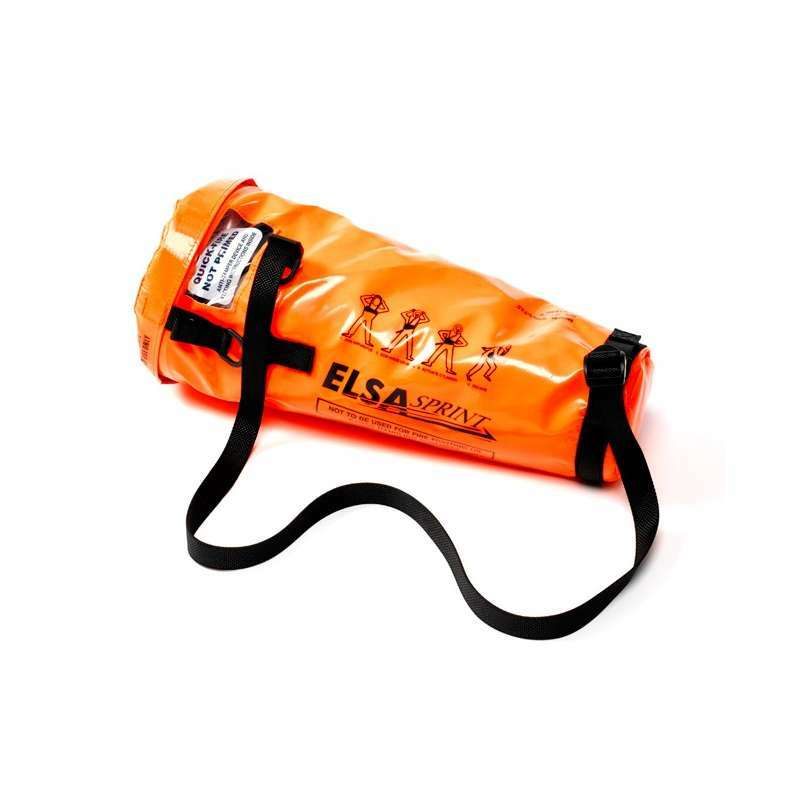 The Elsa Sprint comes with a 15 minutes duration steel cylinder rated at 200 bar and is designed to be stored ready for use in a high visibility bag containing the cylinder and Vision 3 face mask. Crucial information such as the air duration and other user instructions are displayed on the bag form of pictograms. The transparent panel in the bag makes the cylinder contents gauge and reducer valve visible so the cylinder charge state can be checked easily without having to open the bag. A bright red anti-tamper bag houses the entire unit, which is designed to be easily broken when the bag is opened. The system is designed to supply medium pressure air at the facemask demand valve so as soon as the wearer takes the first breath, they have air available to them in an emergency situation. 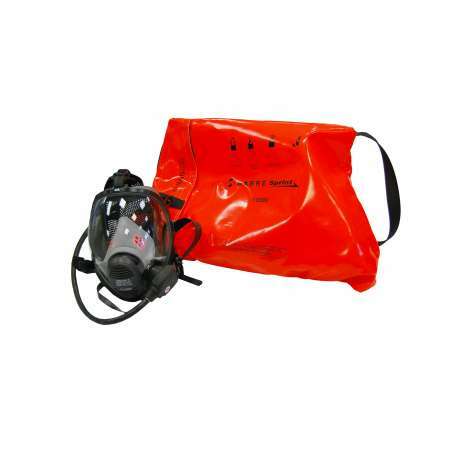 Fully EN 402 compliant, the unit is housed in a carrying bag which is made of nylon with a PVC coating, it is flame retardant, chemical splash retardant, and coloured for high visibility. It has also been designed to be anti static (optional) and this bag is made of polyurethane for working in environments with potentially explosive gases in the air.